The Americans with Disabilities Act (ADA) ensures that those with special needs have access to public places and facilities. We’ve studied the law and have determined that in some instances signs alone can bring you into compliance. 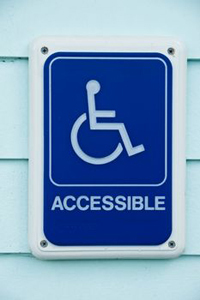 We offer a complete range of ADA compliant signs, and will be happy to guide you through the process of selecting and placing the right ones. Let us be your experts on ADA signage. Give us a call today for a free consultation.